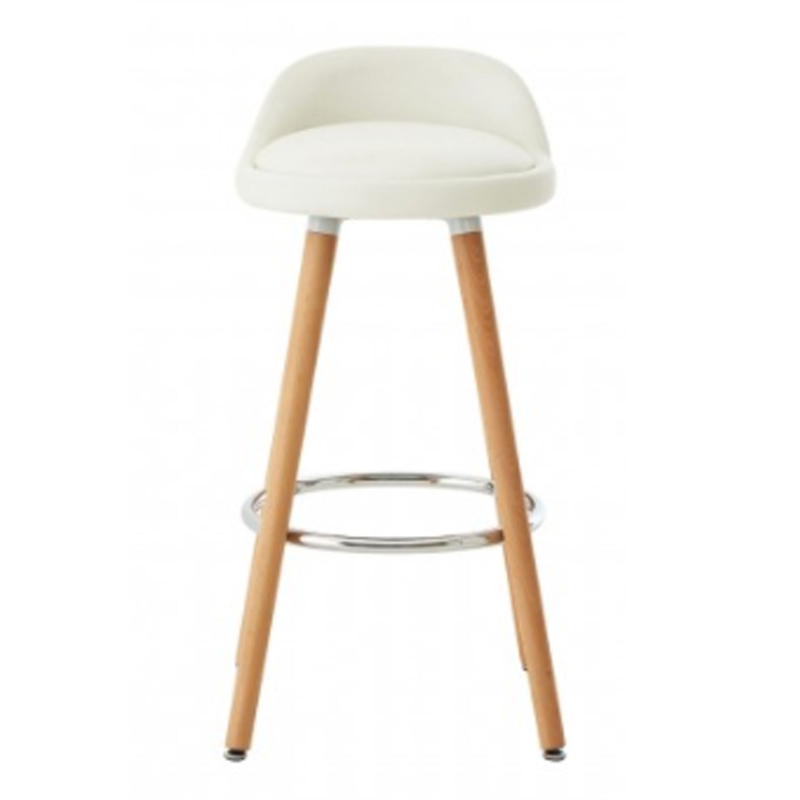 This is a beautiful bar stool with a stunning white seat with wooden legs. It has a smooth white faux leather seat which is very modern, it also has a combination of metal parts to hold it together. It's very sturdy and comfortable, perfect for any home.